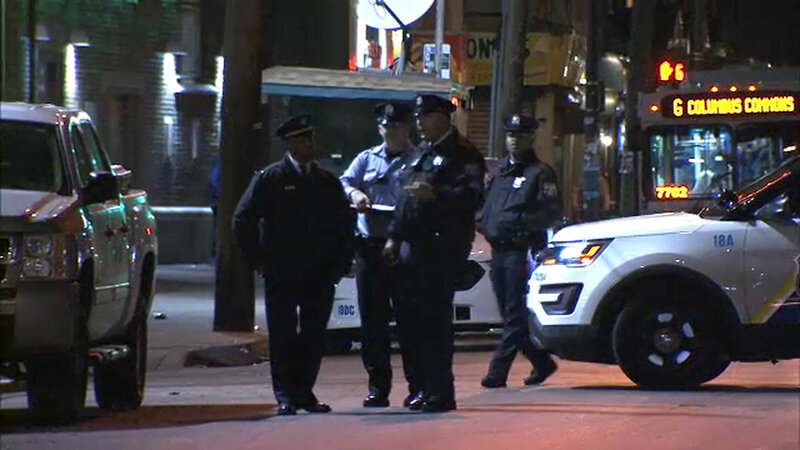 PHILADELPHIA (WPVI) -- Police say a 17-year-old male is in critical condition after being shot in West Philadelphia. Officers responded to the 5600 block of Sansom Street before 8 p.m. after a report of a person with a gun. The teen was found with gunshot wounds to his chest and thigh. He was taken to Penn-Presbyterian Medical Center where he is listed in critical condition.